Trump, Citing Death Of Colts Player, Says Democrats Must 'Get Tough' On Immigration : The Two-Way In a tweet, the president called the death of Indianapolis Colt linebacker Edwin Jackson, caused by a suspected drunken driver who is in the U.S. illegally, a "preventable" tragedy. Indianapolis Colts football player Edwin Jackson in a photo from earlier this year. Jackson, 26, was one of two men killed when a suspected drunken driver struck them as they stood outside their car along a highway in Indianapolis. President Trump has weighed in on the death of Indianapolis Colts linebacker Edwin Jackson, who was killed over the weekend in a suspected drunken-driving accident involving a Guatemalan citizen living in the U.S. illegally. 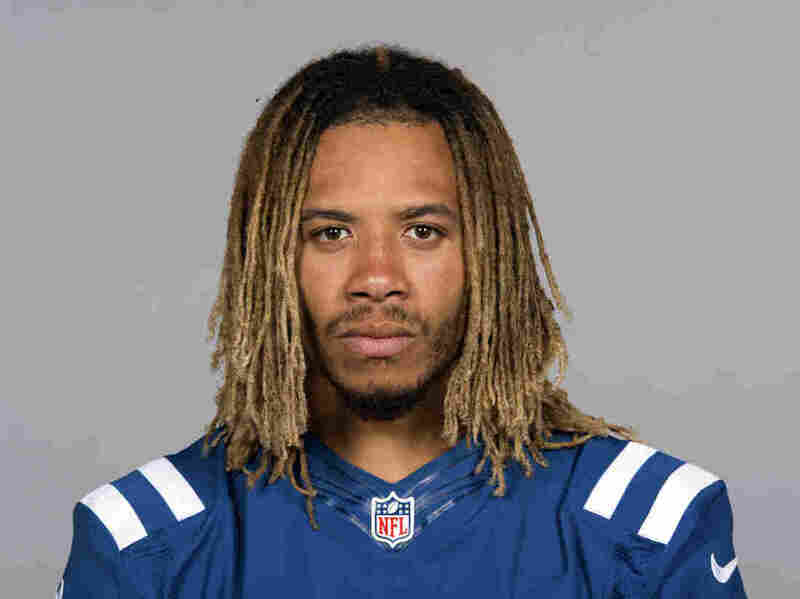 "So disgraceful that a person illegally in our country killed @Colts linebacker Edwin Jackson. This is just one of many such preventable tragedies. We must get the Dems to get tough on the Border, and with illegal immigration. FAST!" Earlier Tuesday, Trump called on Democrats to "get tough" on immigration, citing Jackson's death. Manuel Orrego-Savala, a citizen of Guatemala, is being held as a suspect in the death of Indianapolis Colts linebacker Edwin Jackson on Sunday. 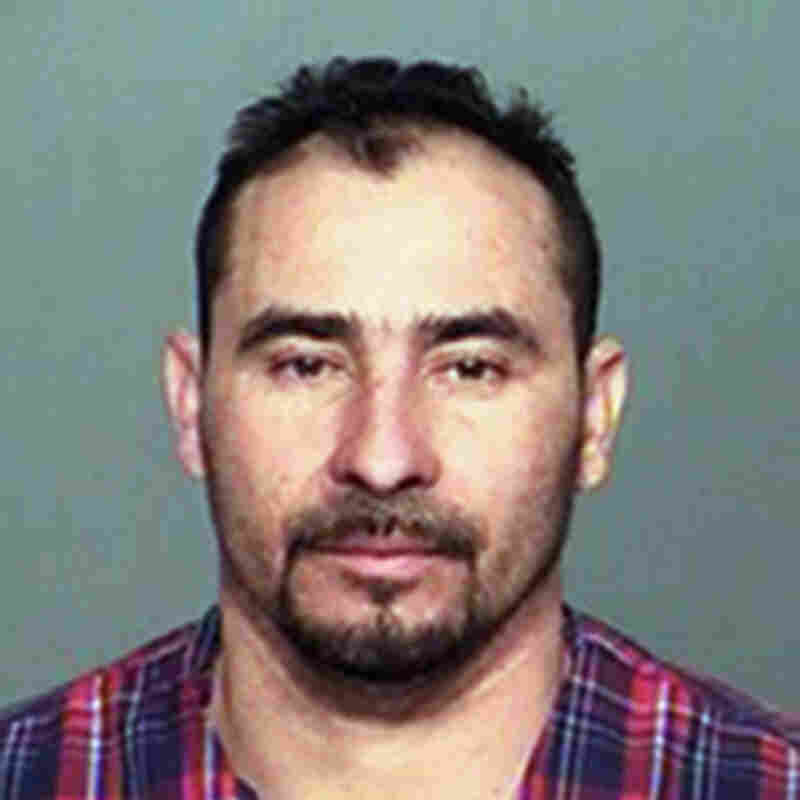 The man who allegedly hit Jackson, Manuel Orrego-Savala, was charged in U.S. District Court for the Southern District of Indiana with illegally re-entering the U.S. after he was deported at an earlier date. "In April, Attorney General [Jeff] Sessions directed all federal prosecutors to prioritize charging aliens that illegally re-enter the country, especially if they are a risk to public safety or there is a criminal history present," U.S. Attorney Josh Minkler said in a statement. "Following the rule of law is the foundation of our American democracy, and my office is committed to fulfilling the Attorney General's directive." "Police say Orrego-Savala, 37, had a blood-alcohol level nearly three times the legal limit when he allegedly hit and killed Edwin Jackson, a 26-year-old Colts linebacker, and 54-year-old Jeffrey Monroe, Jackson's Uber driver, around 4 a.m. Sunday. "Orrego-Savala should not have been allowed back in the country after his 2007 deportation, Sen. Joe Donnelly, D-Ind., said in a tweet Tuesday. 'We need to fix our broken immigration system to prevent this from happening again.' "